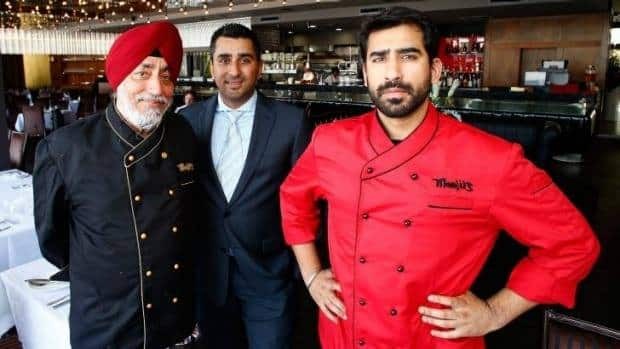 When well-known restaurant brand Manjit’s launched their new dining sensation Manjit’s @ The Wharf in Barrangaroo, its chef, scion Varun Gujral, told Indian Link he’d like to win a Chef’s Hat. That was two whole years ago, in 2016, and the then 28-year-old was taking on his first role as head chef. 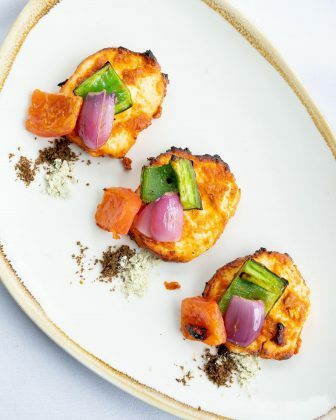 Varun has grown considerably since then, in confidence as well as experience, having stamped in the family-owned business as one to reckon with in the Indian restaurant scene in Sydney. 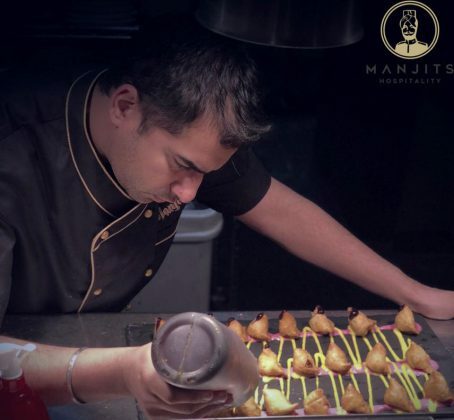 The daring young chef’s exciting take on age-old favourites is pushing the boundaries of Indian cuisine, as he spearheads innovation in technique as well as presentation. His Eggplant Takatak is but one of his works of art that has been Instagrammed innumerably – the drama of the cloched baingan bharta never failing to lighten the mood around a table. Similarly, Varun’s pie-style Biryani also brings a smile to the face as it is laid out in front of you. The scallops are gently cooked, and it is left to you to flavour with your choice of 17 different powdered spices arranged in an ‘artist’s palette’ presentation. Other experiments have been equally popular. Lotus root mash. Powdered beetroot. Street-style chaat presented in an ice cream-style cone. Imli (tamarind) martinis. In mango pistachio kulfi, two perennial favourite kulfi flavours combined in one tall spire, standing in a delicately flavoured sauce. 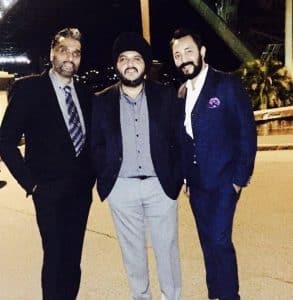 Karandeep and Varun have done much for the family business, taking it up several notches with their fresh approach to it all – and with their first Chef’s Hat. The Gujral family’s love of food has been apparent also in its numerous appearances on television and radio. To mainstream Aussies, used to their butter chicken and vindaloo dishes, the Gujrals have helped acquire a more nuanced appreciation of Indian cuisine. “Where else in Sydney would the President of India have dined,” wrote a regular patron under Manjit’s Facebook post describing President Kovind’s special request to visit the restaurant. Master restaurateur Manjit Gujral started off in the industry in 1982 with his first restaurant in Potts Point. It then moved to Balmain, where it functions to this day, making it the oldest running Indian restaurant in Australia. The family then launched the Concord Function Centre, before taking up the Barrangaroo venue. A new city-based venue is on the cards, Karandeep reveals, for which three new chefs are being brought in from India for specialist Indian cuisines. The Australian Good Food Guide awarded hats to 375 restaurants across the nation this year. Typically, the awards are based on judges who dine anonymously and pay full fare, as well as on readers’ votes, although the judging carries more weight. The judges pay particular attention to ingredients, taste, presentation, technique, value and consistency. The Terrey Hills based Urban Tadka Indian restaurant has just won its first Chef Hat awarded by the Australian Good Food Guide 2019. The restaurant was launched in 2011 by Dimpy Singh and Mandeep Rana, both North Shore restaurateurs with years of local experience, with Inder joining a little bit later. The Tadka Boys arrived, quite literally, with a bang, becoming a major player in the restaurant scene from Day One. Today, patrons come from as far afield as Penrith; Indian community events are held here with increasing regularity, and outdoor catering orders have gone through the roof. As well, the mainstream are thronging in. Visit on any random week night and you’ll see the place filled to near-capacity with school mum groups, local diners, family groups. 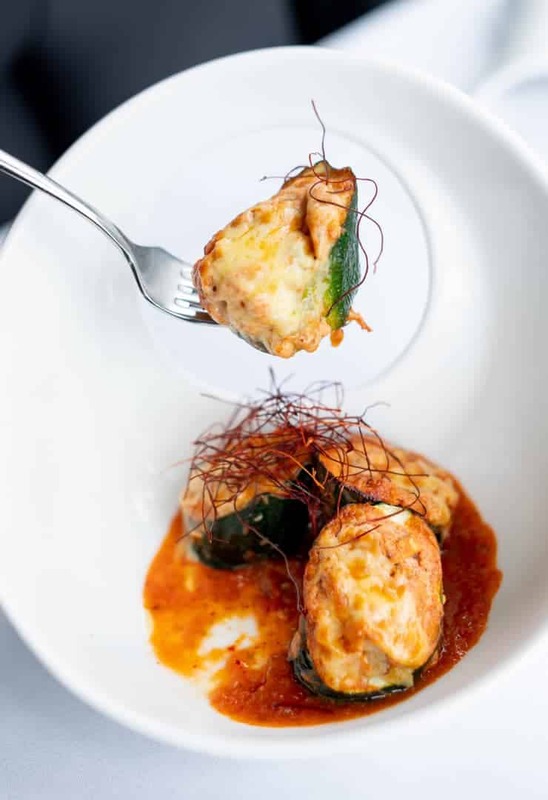 Urban Tadka is among a small subset of Indian restaurants in Sydney that is offering the mainstream a fresh new look at a centuries-old cuisine, repackaging traditional fare with a modern outlook. Here, you have street food of the little towns, with all the sophistication of the large metropolises. Indian Link’s own menu items of choice at Tadka are Aallu ki chaalu tikki, Hare bhare chaman ke tukde, Murgh tikka, Fish kolumbu, Kesari lamb, and the variety of naans on offer. 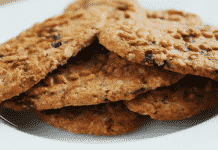 You will be bowled over by presentation, without doubt, but top marks here for technique as well. It is clear that much attention goes into both. But there are other considerations as well, such as social media. And how do they explain to their mainstream patrons what “tadka” means? Here’s hoping there will be extra sizzles to their tadka, post the Chef Hat honour.